Stay warm and comfy while you fight off Shredder with this Teenage Mutant Ninja Turtles Adult Womens Onesie. This soft, green micro-fleece onesie features a zip front, long sleeves & attached feet, elastic cuffs, and ribbed collar. Detailed to make you look as if you're the fifth ninja turtle fighting along Michelangelo, Raphael, Leonardo & and Donatello, the front design features a screen-printed image of a shell chest piece, a brown belt with a circular yellow buckle with the initials "TMNT" printed inside, and brown knee pads. 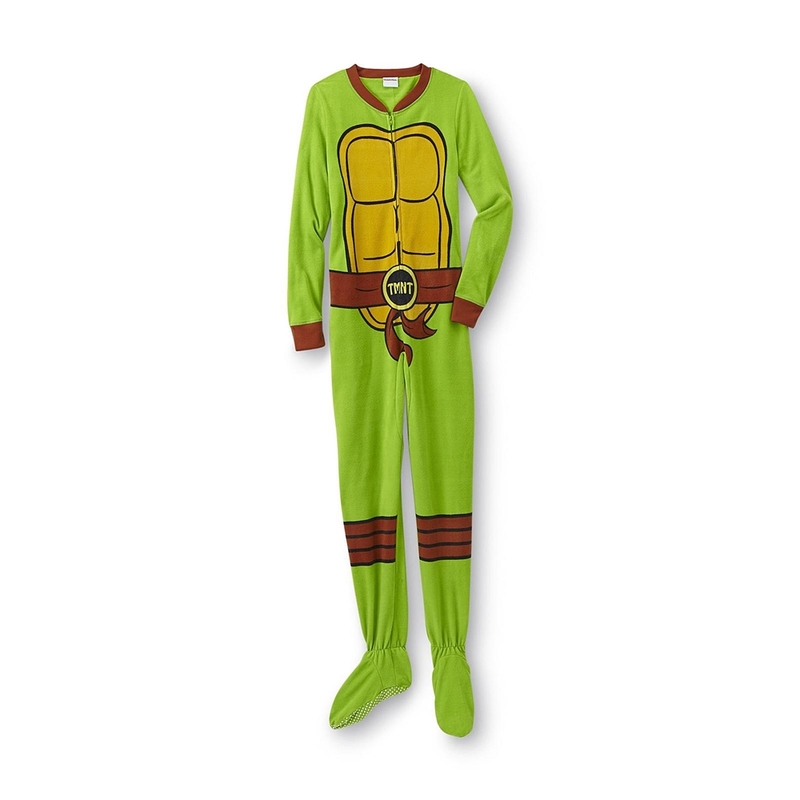 Whether you're looking for an easy Halloween costume or something to wear all year round, this warm adult womens onesie is a must for any Turtles fan.